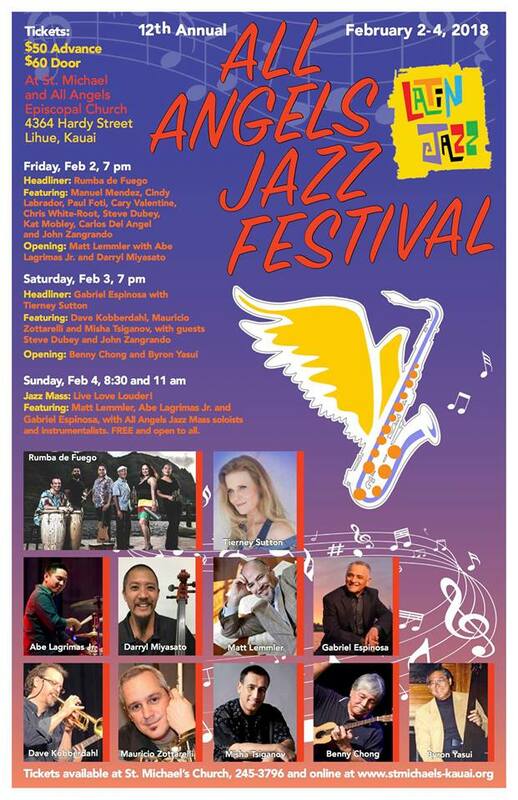 St. Michael’s is excited to present the 12th annual All Angels Jazz Festival, Friday through Sunday, February 2-4, 2018. 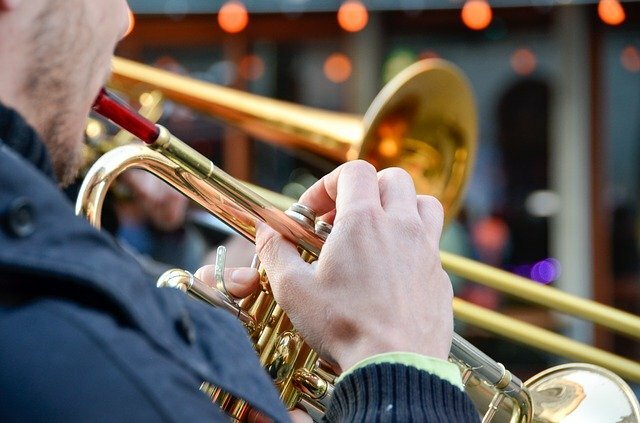 This year the festival will feature Latin Jazz. If you happen to be on island during this three day time period, be sure you plan to attend one of Kauai’s best and most anticipated music events. Prices are $50 single night or both nights for $95. Quantities are limited and are subject to prior sale. Any remaining tickets will be available at the door for $60. Sunday’s Jazz Mass is Free and Open To All! Offerings will be accepted. 4364 Hardy Street, close to the State Building, about an hour drive from Kauai Vacation Rental at Honu Point. Lihue is located on the Hawaiian island of Kauai which is a short airplane ride from Honolulu, the commercial and transportation hub of the state. There are frequent inter-island flights from Honolulu. In addition, Lihue has non-stop service from a number of mainland cities on Alaska Airlines, American Airlines, Delta Airlines, Hawaiian Airlines, United Airlines, and seasonally on WestJet. The airport code for Lihue is LIH.